"What are you doing at the moment?" I used to hate answering that question when I wasn't working - it always made me feel like a second-class citizen. I'm still new to blogging, and one of my ambitions for a while has been to do a podcast to accompany the blog. This American Life and Serial, the classic Desert Island Discs and its cousin Private Passions, plus a raft of other podcasts, have been staples on my iTunes app for years. There they wait, ready to consume on my commute or doing the ironing or walking by the river. I could come up with a million reasons why I shouldn't do it. My vibe at the moment is much more, "if everyone else is doing it why can't I?". Anything you can do to shake up your habits is good. By giving yourself a paradigm shift, even a small one, and being stimulated, you'll forget about the doubts that hold you back. 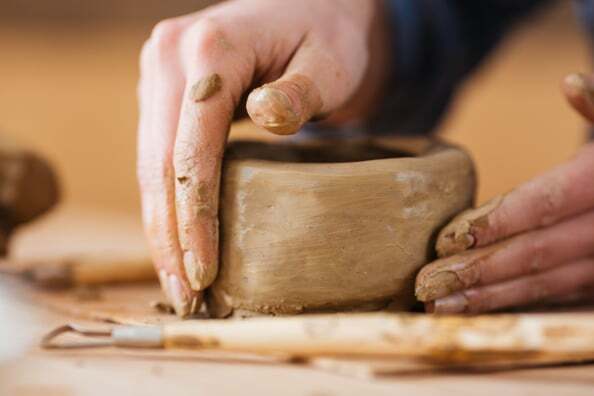 If, like me, you are thinking of branching out into a new area, courses, talks and seminars can be a good way to turn a hobby into something more. So in my "why can't I mood" I booked a How to Launch a Successful Podcast course at General Assembly in East London that's only one of a myriad courses that they run: one off evenings and week/month long courses on all facets of business, marketing and tech. Off I trotted to deepest darkest Whitechapel on a Tuesday night. Turns out, General Assembly is hosted in a funky building with an old tube carriage juxtaposed in reception, and occupies a floor of the building with wide, open spaces, a kitchen to help yourself to a coffee, generous space to plonk yourself down with their Free WIFI and feel part of the learning energy and growth mindset that seems to pervade the walls. Not intimidating at all; current, vibey and attracting amazing teachers. Generally, these successful individuals are looking to give back and serve those who are a little further back on the track that they have forged a way in. It is a brilliant model and hugely affordable. in a new place, full of different people fizzing with ideas for podcasts. 'Interviews with anxiety sufferers'! 'How do female engineers have fun'! GCSE English literature made easy, discussed over a glass of wine by teachers! Have 80s UK Sitcoms lasted the test of time!" Mark Leruste is a legend in the podcast world, with some 35000 downloads of his interviews. He is charming, inspiring, motivational but most importantly did not forget his audience and the fact that we were all back at ground zero; absolutely clueless about format, kit, platforms, editing etc. It really didn't matter. I went with no expectation except to learn something new, maybe. 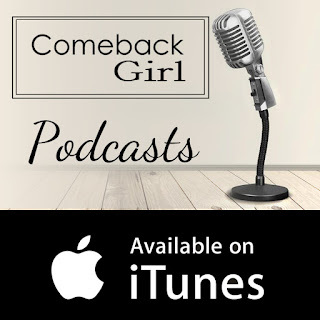 I came away not only thinking that I could make a great podcast of my own, but most importantly that there is a whole world out there to explore and wonder about outside my daily goldfish bowl, and that felt exciting and good. So I would urge you, if you are just looking to change things up a bit or learn something, anything new or start your journey of discovery to the next stage of your life, have a look at the General Assembly upcoming courses, which can be done on campus, if you're a Londoner, or online. I think this one looks intriguing: fulfilling your dreams starting today. Besides the obvious benefits in updating skills, coursework can provide networking opportunities, build confidence, and be a great addition to your resume/Linkedin profile. At some schools, students in individual courses or certificate programs are eligible to use the career center resources, including career fairs and applying for jobs and internships. Courses provide a great answer to "what are you doing at the moment", so do something for yourself today, and book one. Any course. You're bound to take away at last one seed of an idea to take with you on your life journey. And do you know what else, every single reason that I could come up with as to why I shouldn't launch a podcast was shared by at least one other person in that classroom last night. So go for it, you are so very, very worth it. 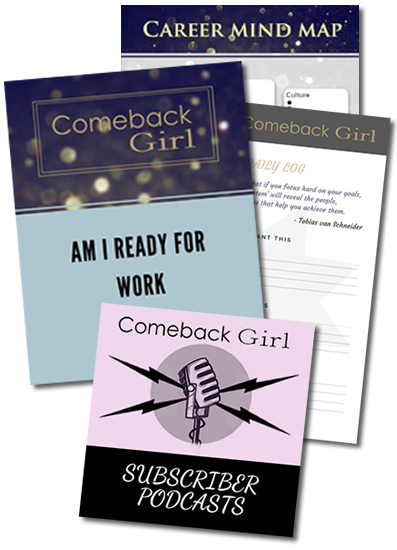 The Comeback Girl Podcasts have since arrived! You can find them on Soundcloud and iTunes.